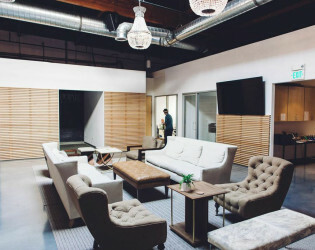 Aerosmith sings it best, "Walk this way, talk this way" all the way to Wayfare. 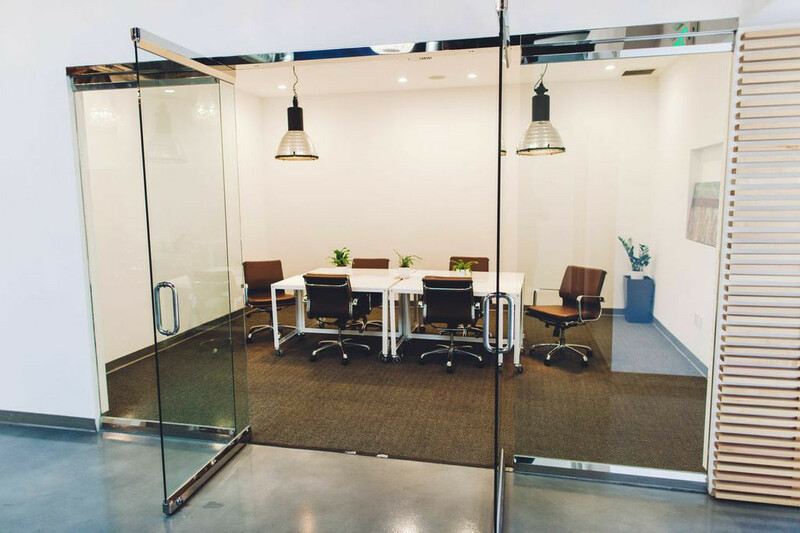 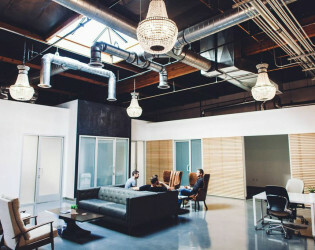 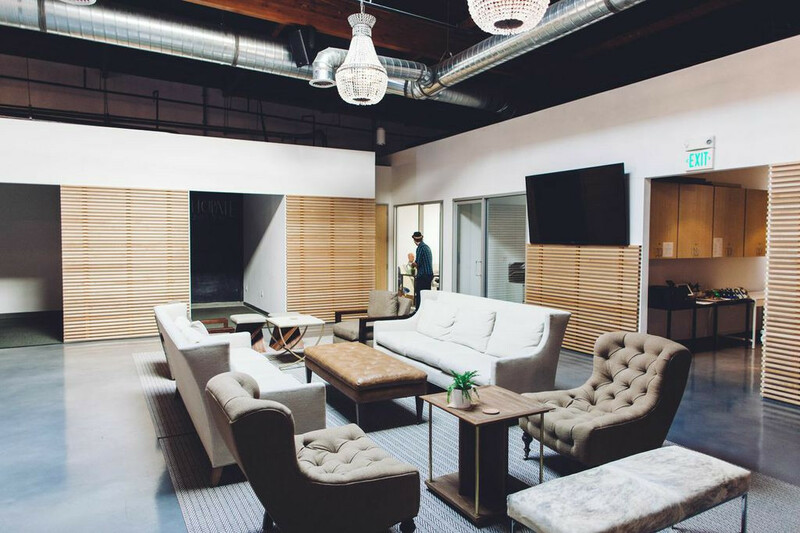 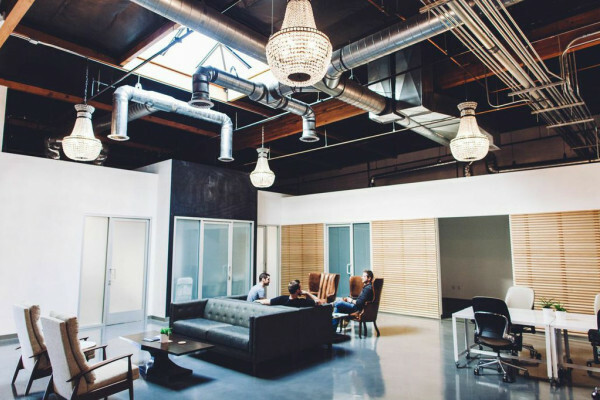 This Costa Mesa co-working community and gathering space is ready for you to jingle and mingle. 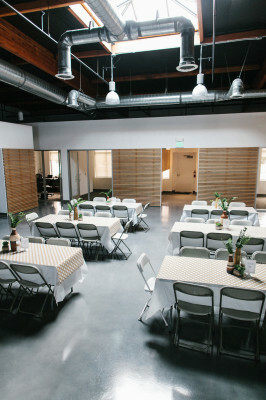 Gather your fellow merrymakers for a magical and memorable time at this 6,000 sq/ft event space and startup incubator. 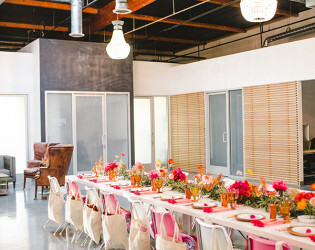 Whether it be coffee or cocktails, you will have all of the awesome necessary. 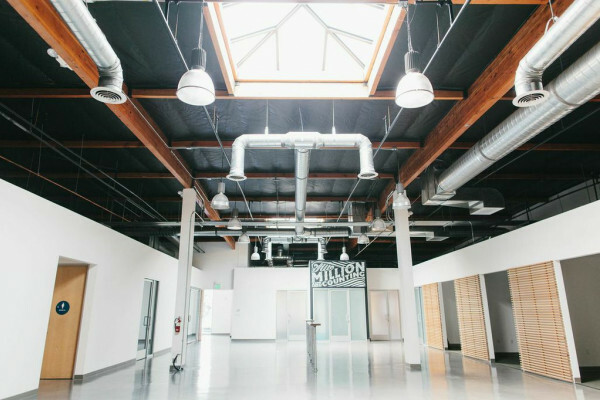 FLDWRK is located in Costa Mesa's industrial area between the John Wayne Airport and the thriving Sobeca district, and is ideally seated near three major OC freeways: the 405, 55, and the 73. 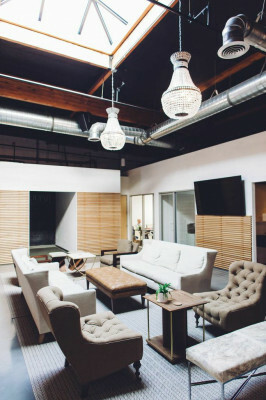 Although located in the heart of Orange County, you may likely feel as if youve stepped foot in an upscale NYC loft. 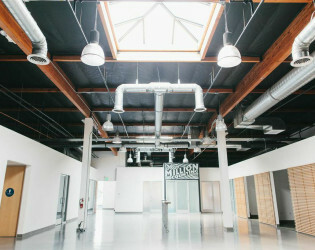 The space boasts in over 3,000 sq. 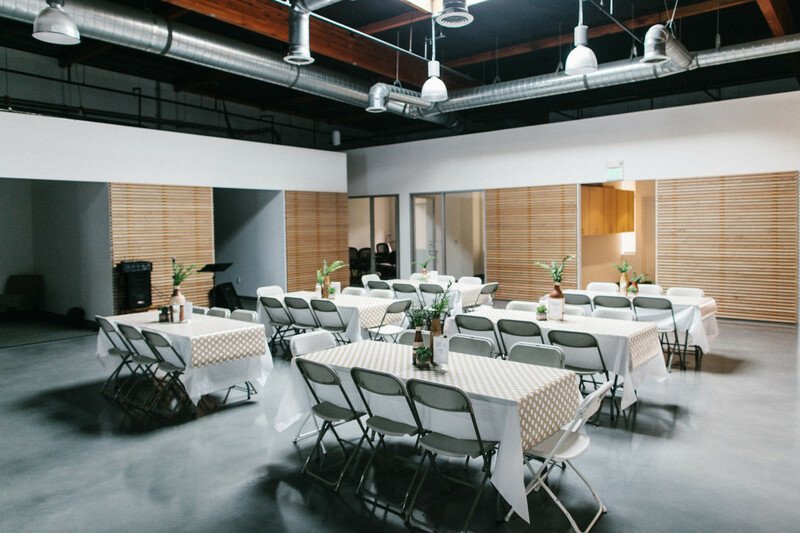 ft. of industrial-chic open space conducive to a wide variety of occasions: holiday and birthday parties, baby & bridal showers, rehearsal dinners, corporate events, conferences & speaking events, charity fundraisers, and creative workshops. On Mondays-Fridays from 8-5, FLDWRK is a shared coworking office space where creatives, entrepreneurs, and early stage organizations use their gifts and vocations to individually and collaboratively work toward the world's best future. If you find your way into our space and would like to make it your business' home, talk to us about a day pass, booking a meeting room, or becoming a member! 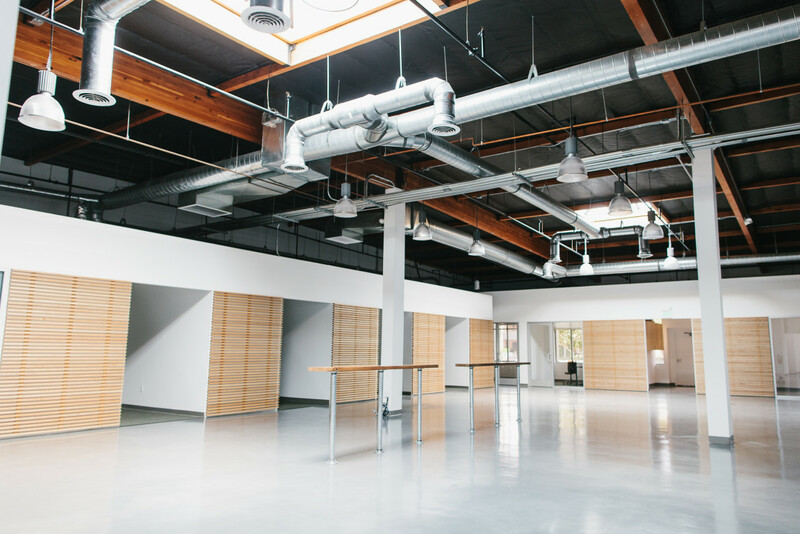 The space's open layout, high industrial ceilings, and vaulted skylights make the space feel open, airy, and naturally bright. 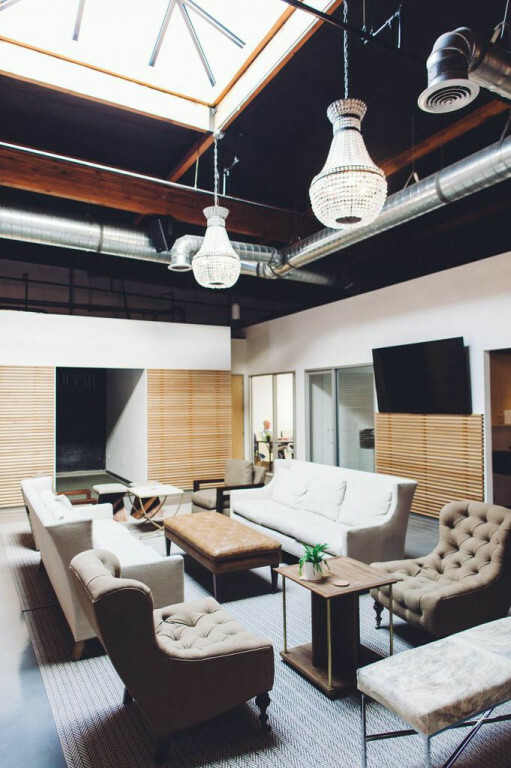 Its clean, minimalistic design makes it perfectly suited for a wide variety of tastes and styles, where you are free to add your own personal touches and accomplish the exact feel you desire. 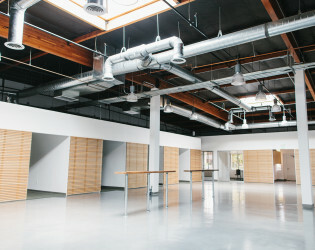 Our space includes the use of the 2,050 sq. 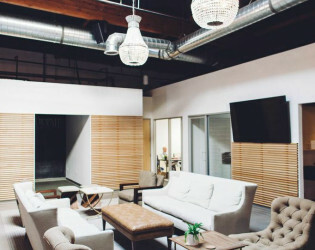 ft. main common area, three semi-private alcoves ideal for lounge areas, a photobooth, and/or a gift room, a home-style kitchen, and a separate 250 sq. 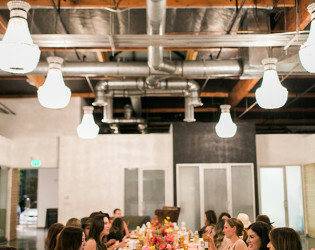 ft. glass room off of the main space complete with two industrial-chic pendant lights to spotlight your unique occasion. 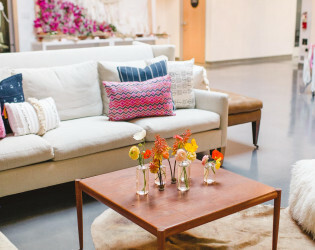 Our venue boasts an immense mosaic of vintage leather and mid-century modern styled furniture, dazzling sophisticated chandeliers, marble and reclaimed wood end tables, and a large chalkboard wall in one of our four alcoves for guests to write on (tip: it makes for a total fun & personalized photobooth)! 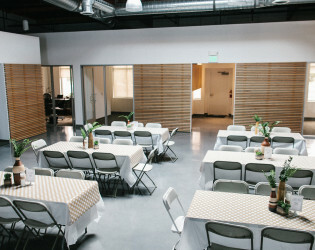 Our standard rental fee includes: A/V for high quality surround sound throughout, ample parking, 3 large flat-screen screens for presentations, slideshows, and video, use of our sophisticated lounge furniture, 24 custom-made walnut & metal desks and chairs for workshops, and a home-style kitchen outfitted with everything you need for small-scale food preparation: a standard size refrigerator & freezer, sink, oven, stove, and microwave. This raw industrial Costa Mesa, California venue is ideal for large creative workshops &amp; private events. 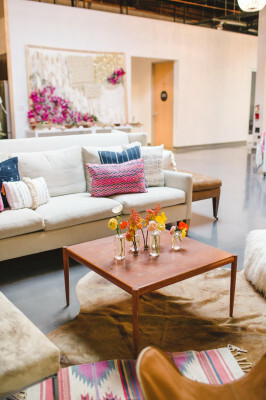 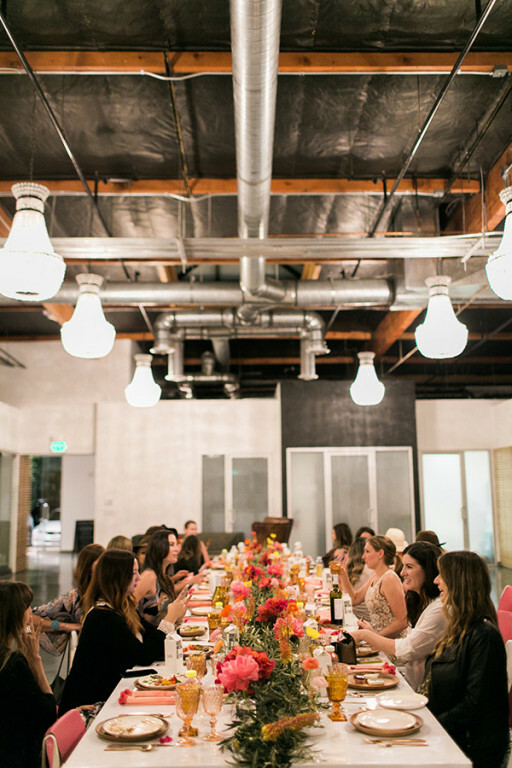 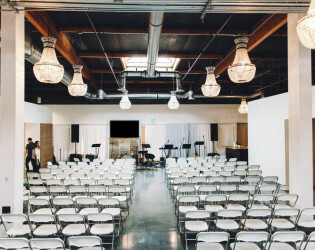 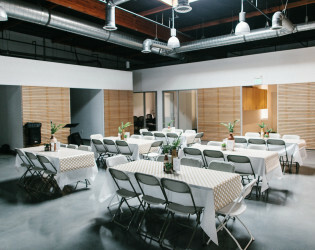 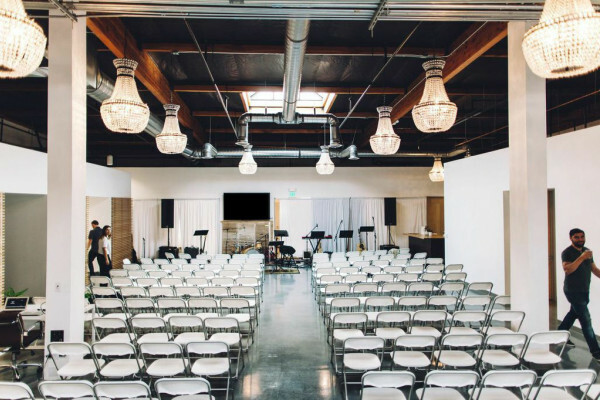 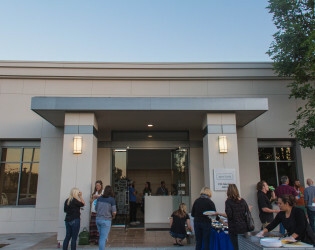 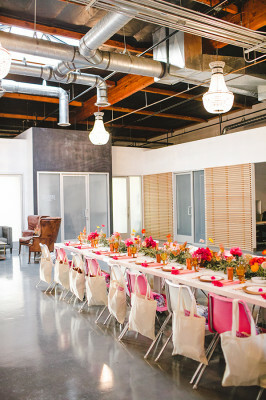 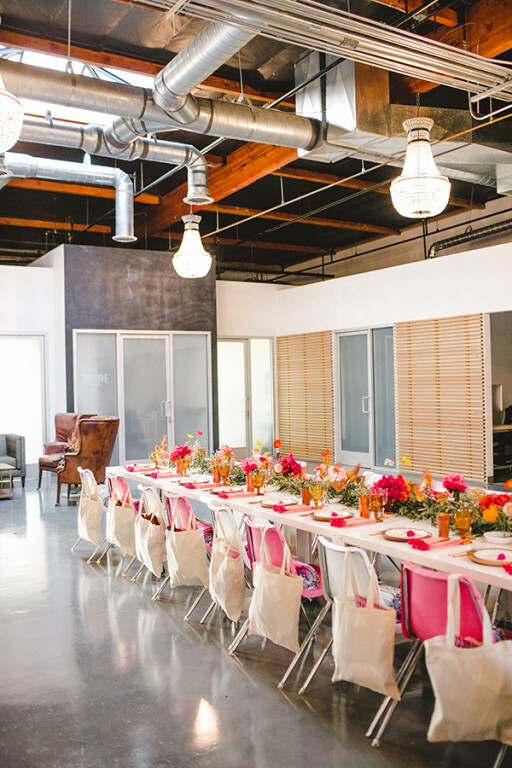 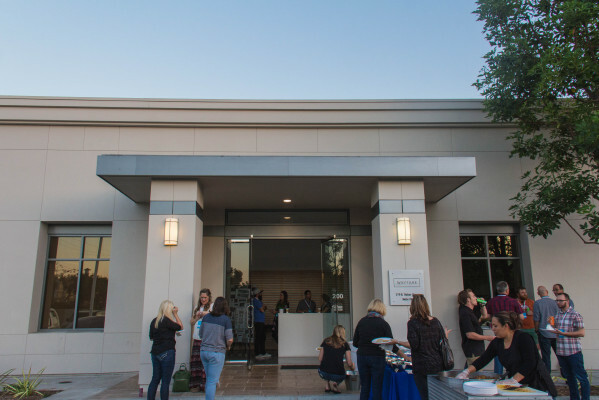 This Costa Mesa, California event space is ideal for workshops &amp; gatherings.